Good news: no need to run to the salon! When towel-drying your hair, avoid vigorous rubbing—this will help lessen frizz and leave you with smooth, shiny strands. We know how much you love dyeing and giving your hair salon treatments so here's even better news: the beauty gods have heard us by concocting haircare products that's suitable for salon-treated hair. So you can stop worrying about running colored, keratin-treated, or rebonded hair! 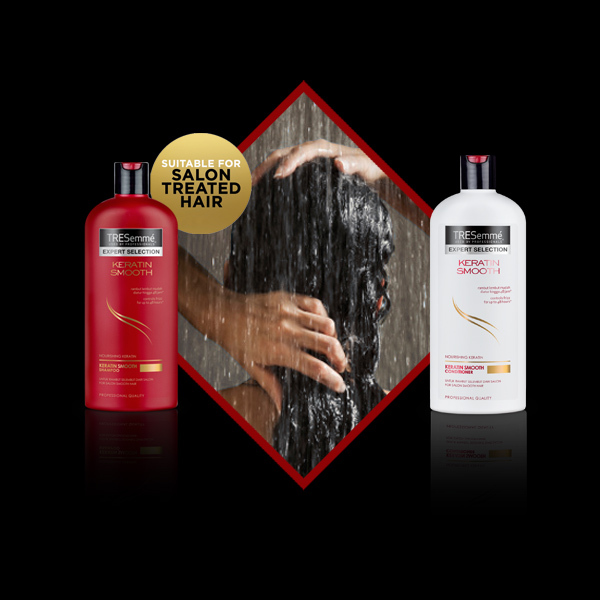 Start using TRESemmé’s Keratin Smooth Shampoo with low sulfate content and Keratin Smooth Conditioner to keep frizz at bay for up to 48 hours. When combing damp hair, use a wide toothed comb to prevent excess tugging on delicate strands. Go a step further by brushing your hair with a boar bristle brush—this will help achieve a glossy sheen on your hair by distributing its natural oils. For extra-smooth and healthy hair, keep your locks hydrated by using a hair mask once a week, such as TRESemmé’s Keratin Smooth Deep Treatment Mask. At the same time, protect and keep hair straighter and less frizzy by applying the Keratin Smooth Heat Activated Treatment from root to tip. 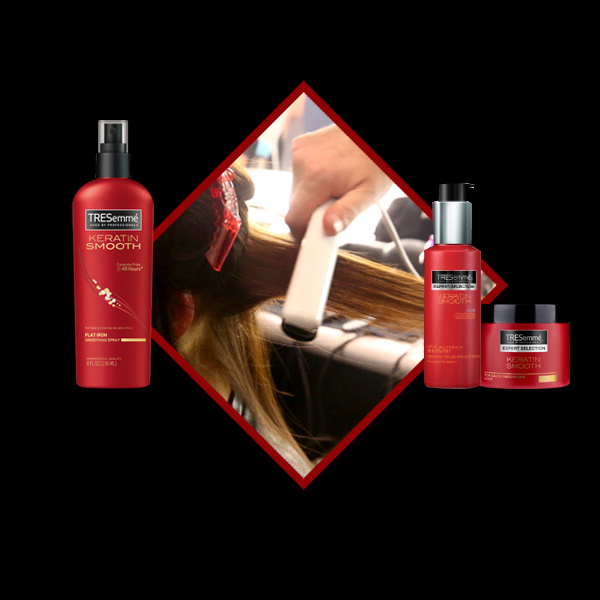 Continue to shield it from damaging effects of heat styling by spraying on Keratin Smooth Flat Iron Smoothing Spray on to damp hair before blowdrying or using a flat iron. By following these tips, you, too, can achieve swoon-worthy locks like Georgina Wilson’s, giving you long-lasting straighter hair at home without needing to run to the salon daily! The combination of TRESemmé’s Keratin Smooth Shampoo, Conditioner, Deep Treatment Mask, Heat Activated Treatement and Flat Iron Smoothing Spray work together to #controlyourfrizz for hours and keep it looking perfect, from salon to home. #ControlYourFrizz at home today with TRESemmé's Keratin Smooth Range from Zalora.